Data is the foundation of any information-driven organization. Managing the organizational data for deriving insightful information often becomes a daunting task because data is fragmented and scattered across disparate IT systems. Furthermore, the growth in the amount of data generated in such systems brings in additional complexities in managing the data cycle. 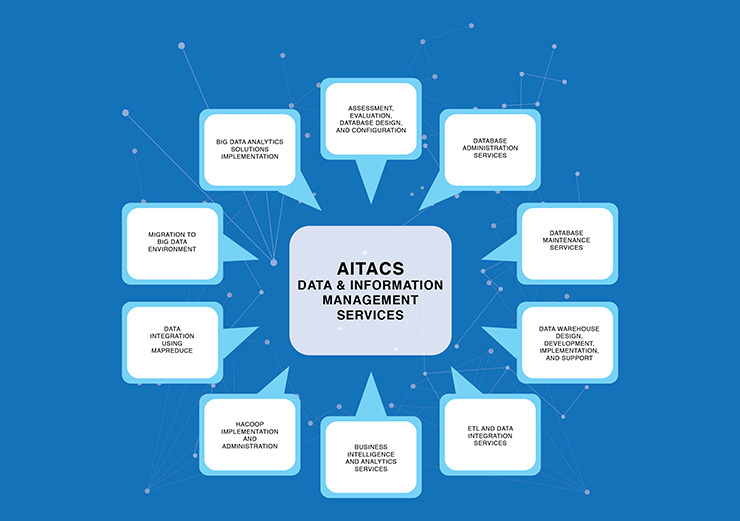 We at AITACS provide services and solutions in all aspects of managing organizational data, from Database architecture, design, development, implementation, to support. Our data management services focus on the following solution areas. 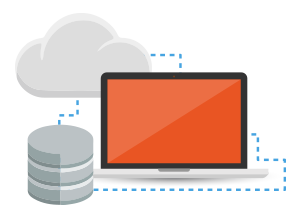 Database management systems are one of the key components of the organizational IT infrastructure that help in collecting, storing, and retrieving the vital data generated by different divisions across the enterprise. 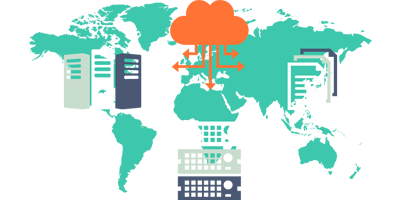 Making data always available is important as business depends on it for key decision making. Any disruption in the availability of data can hamper business productivity. The growing need for business agility has forced organizations to rethink how they can derive value and key insights from different data silos spread across the organizational landscape. 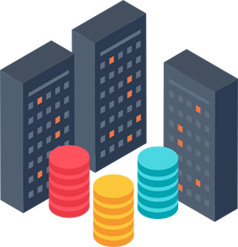 In order to reap the full benefit of the data assets, organizations must effectively use an Information architecture built over a Data Warehouse that integrates the fragmented data silos and helps develop analytical reports that can be used for critical decision making. The exponential growth of both structured and unstructured data from different devices and sources over the last few years has led businesses to rethink how this set of data can be tapped for some key business insights. Handling and managing the astronomical volume of data requires specialized tools and skills for effectively channeling this information and turning them into key business insights.